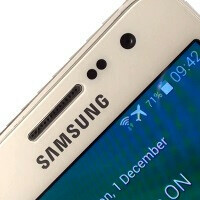 Samsung Galaxy A3 and Samsung Galaxy A5 sequels appear on Zauba? India’s Zauba website, which lists products shipped into and out of India, might have revealed the sequels to the Samsung Galaxy A3 and Samsung Galaxy A5. The metal-clad smartphones were introduced last year as being perfect for social-media obsessed youth, with a 5MP front-facing camera that takes “vivid selfies” according to the manufacturer.